If only George Orwell could see us today. When he wrote “1984” back in 1948, he probably never imagined that the “totalitarian, bureaucratic world” that he imagined would ever actually become a reality. But that is precisely what is happening. We live at a time when the government monitors billions of our phone calls and emails and hardly anyone gets upset about it. We live at a time when corporations systematically collect our voiceprints and our televisions watch us. We live at a time when reporters that try to dig into the misdeeds of the government have their computers hacked, and when nearly one out of every three Americans has a file in the FBI’s master criminal database. These days, virtually every type of government surveillance is taken to the extreme. For example, there is definitely nothing wrong with normal undercover police work. But these days, almost every single federal government agency conducts extensive undercover operations. And of course this is just one example of how the government uses technology to monitor us. For quite a few more examples, please see “An Event So Catastrophic Can Trigger 4 Death Waves“. Also read: The “Day Of Reality” Is Arriving And The “Reality” Is Truly Ugly. Are You Ready For Reality? Previous PostThe “Day Of Reality” Is Arriving And The “Reality” Is Truly Ugly. Are You Ready For Reality? Next PostPaul Craig Roberts: Do Americans Live In A False Reality Created By Orchestrated Events? Hi everyone, Art here, Australia.l try to keep up with whats happening in your country, it gets worse every day.Im so glad our LORD isnt a democrat/republican, not part of the labour/liberal parties, there is still plenty of hope for us all though.l wish to encourage so here goes.Some time back l was doing some study(cant recall what l was looking at, but) l went to Matt 1:1, had skipped over it for years, l was rocked, l have no doubt its relating to a generation(40)of Jubile years.l did the math(as you all say in the states)figure the LORD was here in the flesh in 17-18 AD and counted the 40 fifty year Jubilees and arrived of course at 2017-18. Wont get into the 70 years of Daniel or the 120 the Lord spoke about with Noah, but do be encouraged, time is very short and its almost high jump time. Of course George Orwell could imagine it that’s why he wrote about it because he was one of THEM!!! 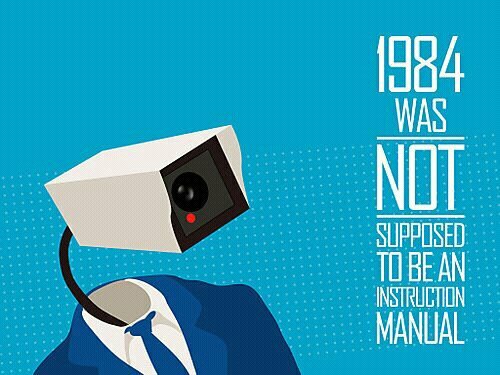 1984 was not a FLUKE .